Investing in real estate in the Hudson Valley is on the rise. Housing sales for Orange County, NY is up about 30% for the first quarter of 2016 compared with the last few years. With homes sales increasing you would expect the prices of homes to be on the rise too, but that is not really the case. Our home values have remained consistent over the last few years. While a nice home, in good condition will sell fast, sellers have not had the luxury of raising prices. Pricing is a moving target and timing is everything. The inventory of homes for sale in Orange County is dropping a bit, but as homes sell more enter the market daily as sellers are happy to make changes while interest rates remain low. Single family homes are the largest part of our inventory, along with multi-family homes as well as condos and townhouses. 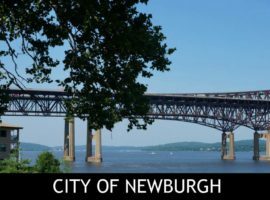 If you are looking to move to to Orange County, NY and into the Hudson Valley, you will quickly learn the value of purchasing a home here. There are many ways to explore Orange County, NY. There are so many roads to crisscross, and so many towns to visit the options are endless. My choice of transportation might be driving a baby blue “Beamer” with the top down in fall, but then I would miss some of the most magnificent views. The best way to see the county as a whole may actually be from the air. 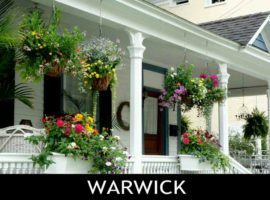 We’ll begin our bird’s-eye tour by taking off from a small airfield near the southern border of Orange County in the quaint town of Warwick. Looking down from our right wing, we soon spot a large verdant patch of earth just beyond the town of Warwick. These are the famous “black dirt” onion fields, some of the most fertile farm land in New York State. The onion fields, as well as the apple orchards of Warwick, are reminders of the rural farm lands that Orange County NY once was. 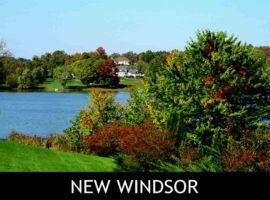 We’ll climb out above the town’s old apple orchards, the housing developments and the old neighborhoods, then bank over Greenwood Lake, heading northwest towards Florida, Goshen, New Hampton, Montgomery and Middletown. While traveling around the area it is easy to see that there are many choices of homes. From condos, to townhouses, and single family homes, we have a plethora of choices. Prices vary along with style and size of properties. Take a look around and see what we have to offer. 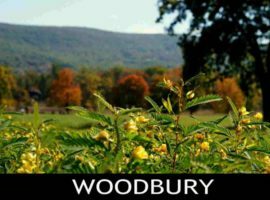 Touring of the Hudson Valley is a fabulous way to find out where you might want to call your home. Condos provide a more laid back life style. Own your own home, but with out all of the maintenance. No DIY taking care of the moving the lawn or repairing the roof, when you own a condo a monthly fee to the community “Home Owners Association” is all you need. Amenities at these complexes range from mowing the grass, to having a fitness room, swimming pool, tennis courts and more. Take a look at the variety of Condos for sale in Orange County. As we follow Interstate-84 eastbound, we’re looking for the intersection of I-84 and Route 17. 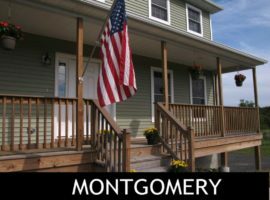 That’s where we’ll find Montgomery, New York, a bedroom community which has grown in recent decades to become home to many who work and commute to Westchester, Rockland, as well as New York City. Orange County commuters are blessed with several options besides driving on the NY State Thruway, including a bus and rail system that provides a one seat ride to Grand Central Station. East from Middletown we can spot Goshen, the county seat, as well as other bedroom communities such as Washingtonville, Blooming Grove, Central Valley and Monroe. There has been a great deal of development along the Route 17 corridor, some comprised of single family houses, others made up of condominium communities and of course, shopping areas. In most of these towns you can still spot the bungalows and cottages that once made up summer homes for city dwellers in the early-to-mid 20th century. These have now been converted to year round homes. 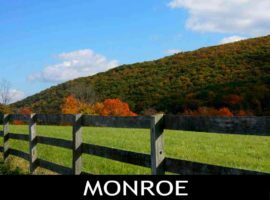 One attraction in Monroe, N.Y. that we can see clearly from the air is its Museum Village, a step-back in time for anyone, young or old, who would like to see how life in upstate New York was in the 19th century. An enjoyable place to play for an afternoon. Whether you view Orange County from 3,000 feet up or at ground level, the truth is Orange County is a superb place to live, work and play. Orange County, NY is home to varied architecture and home style. Housing here is affordable and quite plentiful too. Its school systems are excellent. Quality health care can be found across the county along with state-of-the-art hospitals. Shopping for antiques or looking for the latest fashions is available within a short drive. There is a plethora of gourmet food as well as fast food. You can find history and art and an assortment of things to do on the weekends. Even avid golfers will find it comfy here, with 20 amazing courses within easy driving distance. 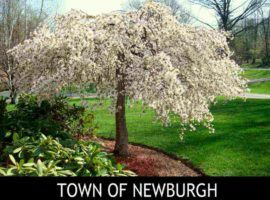 Most important is that living in Orange County, NY is a great place to call home. Want to know more? Check out the towns, village and hamlets we have. Begin the process today. 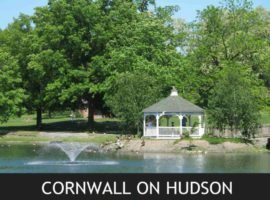 Learn more about home buying in the Hudson Valley. I’m here to help every step of the way.